The Indian Institute of Astrophysics, with its headquarters in Bangalore, is a premier National Research Institute of India. 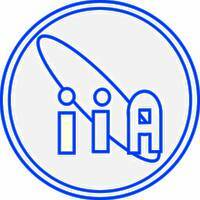 IIA conducts research primarily in the areas of astronomy, astrophysics and related subjects. It is widely recognized as a leading research center for Astrophysics in India. Applicants who have completed M.Tech or equivalent from a recognized Institute for IIAP Recruitment 2019. Eligible & Interested candidates can Apply Via Online In Official website page at www.iiap.res.in IIAP Sarkari Naukri 2019.